Fine Arts & Performing Arts Classes and Workshops, Photography & Videography Services and Studio Rental, Social Activities and meet ups for creative groups, Painting Parties, etc. 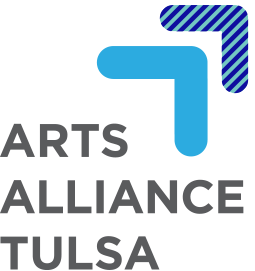 The Arts & Humanities Council of Tulsa is the champion for area arts and culture. Diverse education programs advance its mission to inspire creativity, foster appreciation, promote lifelong learning, enhance the quality of individual lives, and contribute economic vitality to the greater community. The Council partners with arts organizations, individual artists, patrons, school districts, educators, community groups, businesses and government. The Council seeks to nurture innovation, artistic quality and professional development; broaden public and private support of the arts; and introduce the arts and humanities to new audiences. The Council is among the largest privately funded local arts agencies in the region and depends upon support from private foundations, corporations and individuals for its annual operation. A United Arts Fund supporting local non-profit arts and culture organizations. Chamber Tulsa Music presents world class chamber music in Tulsa. The Circle Cinema is Tulsa’s independent and nonprofit art-house movie theatre, showing independent, foreign, and documentary films. The Circle Cinema Foundation is an Oklahoma nonprofit 501(c)(3) corporation. Our mission: to use film to foster understanding and appreciation of the diversity of the human experience and create community among the viewers in the restored historic Circle Cinema. Council Oak Mens Chorale is a choral arts organization established in 1997. COMC is a group of gay and gay affirming men dedicated to singing, providing a source to reach out and give back to the community through performance. Fortuna Tulsa plays at the highest amateur level in the Women’s Premier Soccer league, more commonly referred to as the WPSL. The WPSL has more than 100 teams and proudly holds the title of “World’s Largest Women’s Amateur Soccer League”. As part of the league’s Southwest Division, Fortuna Tulsa will compete against 5 other teams in 2018 for the conference championship. Fortuna Tulsa Players and Coaches will come from many different backgrounds such as current college standouts, former and current US Youth National Team players, and former international professional soccer players. Fortuna Tulsa proudly promotes equality in Sport. Music at 501, Inc. is a 501(c)(3) tax exempt public charity and was chartered to provide musical events of exceptional quality to the people of northeastern Oklahoma for reasonable ticket prices. 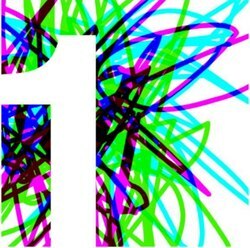 Square 1 Theatric’s mission is simple: We serve as a place where creative capital begins. We believe we will accomplish this by producing compelling, powerful entertainment for a vast audience. Description of Business: Our DJ company loves to provide top of the line entertainment for all events. We are a DJ service with over 10 years experience, very professional and flexible to work with. We have professional grade sound equipment, lighting/uplighting, MC services, etc. Whatever your event needs to keep the party going. We would love to DJ your next event, party or wedding! 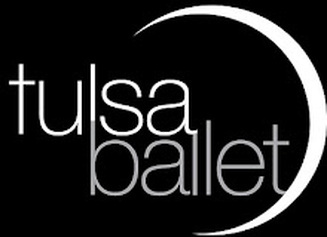 The international press has described Tulsa Ballet as “one of the best in the world” A professional company of international dancers representing 14 countries performs six times a year. The Tulsa Ballet Center for Dance Education offers classes for ages 3-adult. Tulsa's only actor's equity affiliated professional theatre presenting productions at the TPAC and also offer theatre classes.